When I was little, I have never been scared that there was a monster under my bed or in the closet, because my closet wasn't a walk in closet, and there's no space under my bed cos there were drawers! *lame moment* but yea, it has been 12 years since Monsters Inc. came out, and now, they have a prequel to it, Monster's University! Synopsis: Mike Wazowski and James P. Sullivan are an inseparable pair, but that wasn’t always the case. From the moment these two mismatched monsters met they couldn’t stand each other. 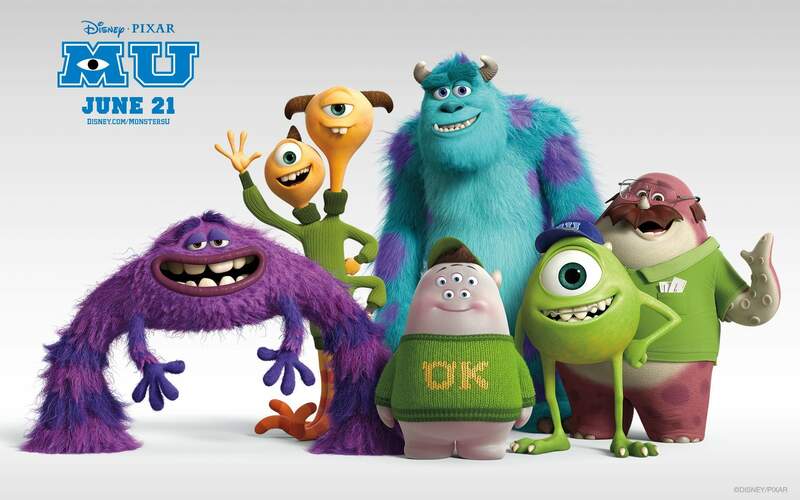 “Monsters University” unlocks the door to how Mike and Sulley overcame their differences and became the best of friends. Verdict: 7/10. It's a good movie to watch with family, and the good thing about it is that if you missed Monster Inc. 12 years ago, it's ok, because this movie is actually a prequel to Monsters Inc.